During Wednesday night's Democratic debate, there were plenty of moments that made an impression ― contentious attacks over immigration, the financial sector, coups against Latin American countries in the 1960s and 1970s ― but there was also one moment regarding GOP presidential frontrunner Donald Trump that drew some attention and spawned plenty of jokes about Hillary Clinton's saying "basta" on the debate stage. Here's the thing: Clinton has gotten into some trouble before when she's tried to curry favor by invoking the Spanish language. In fact, back in December, she drew a lot of criticism for engaging in what some Latino political observers condemned as "Hispandering" ― a mash-up of Hispanic and pandering. It was because of an article that appeared on her campaign website, titled "7 Ways Hillary Clinton Is Just Like Your Abuela" (abuela is Spanish for grandmother). 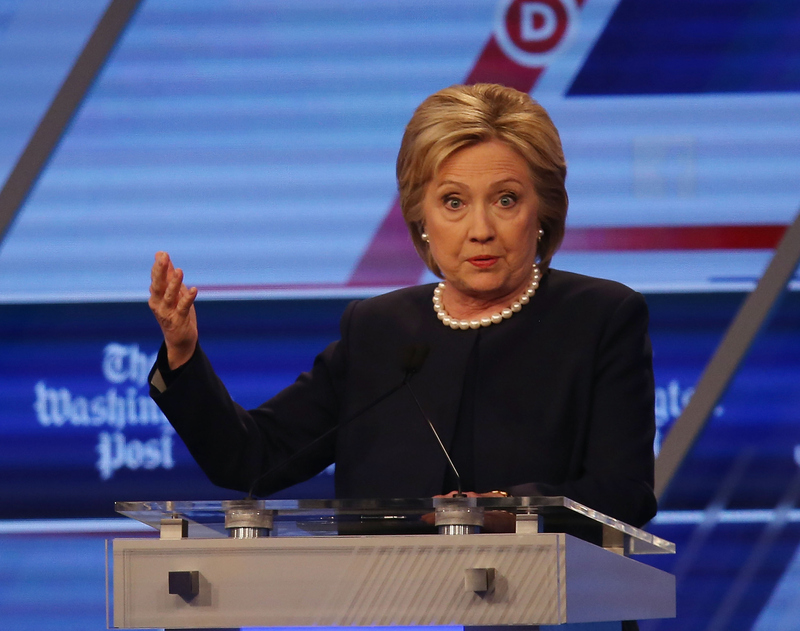 During Wednesday's debate, one of the moderators even brought up the charge of Hispandering. In fairness to Clinton, you could argue that the "basta" remark wasn't quite as in-your-face an example as the abuela article was. But the countless citizens of social media had no shortage of takes, needless to say. As you can see from some of the responses above, it wasn't exactly a well-received moment, certainly not given Clinton's previous, highly criticized foray into this kind of moment. Fortunately for he, however, even a gaffe here and there probably can't derail things too badly ― she's currently polling nearly 30 points ahead of her primary rival Bernie Sanders heading into the Florida primaries.